Last week, the Department of Labor’s Occupational Safety and Health Administration (OSHA) announced its new data reporting rule aimed at modernizing injury data collection. According to a recent OSHA news release, the new rule, which goes into effect August 10, 2016, is intended to “nudge” employers to increase precautions that reduce workplace injuries and illnesses. Under the OSHA rules already in effect, employers must report many types of injuries and illnesses to the agency in order to help identify problems and prevent further injuries. Regulations require employers to notify OSHA of worker fatalities within 8 hours and a rule that was added last year, taking effect January 1, 2015, tightened the timeline for reporting nonfatal injuries. That recent rule requires that employers report serious injuries, including amputations, in-patient hospitalizations, or loss of an eye, within 24 hours. The narrowed reporting timelines were adopted to allow OSHA to step in quickly and address situations that present ongoing safety threats for workers. The most recent adoption further fast-tracks the injury data collection and also provides for online data lookup to increase transparency. According to the Bureau of Labor Statistics, statistics show that there are more than 3,000,000 workers injured on the job each year. 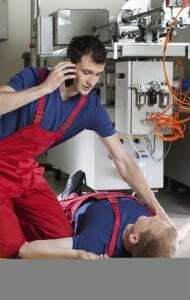 Citing behavioral economics methods, OSHA has decided to tackle the statistics by highlighting the injuries publicly. It reasons that employers are already required to gather and report injury-related information; the extra step of publicly disclosing the data on OSHA’s website will give employers the extra incentive to enact extra safety measures. According to Dr. David Michaels, Assistant Secretary of Labor for Occupational Safety and Health, employers will not want to be seen as operating a dangerous workplace, which could be interpreted as a sign of poor management. In a press release, OSHA likened the move to public disclosure of restaurant kitchen sanitation, which encourages restaurants to improve food safety. The OSHA rule also protects employees from retaliation. To promote accuracy in reports and logs, employers must adopt procedures for injury reporting that do not discourage employees from providing information. Personally identifiable information is also removed from the reports before publishing online. The OSHA rules target preventable workplace injuries by placing incentives for employers to promote safety measures. When an employee is injured on the job, many times the employer is at fault. Sometimes the injury is instead caused by faulty equipment, the negligence of a vendor, safety personnel, or some other party that had access to the location. The question of liability can be complicated and state and federal laws sometimes limit who can be held accountable to an injured worker. 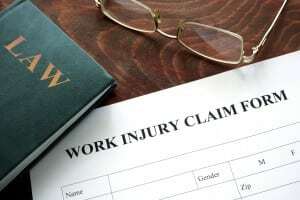 If you have been injured in a workplace accident, you may be entitled to compensation, but the time to file a claim is limited by state and federal laws. The personal injury lawyers of Hardy, Wolf & Downing are experts in workplace injury claims and have successfully represented injury victims in Portland, Lewiston, Bangor and throughout Maine. To arrange a free legal consultation, please call 1-800-INJURED today.